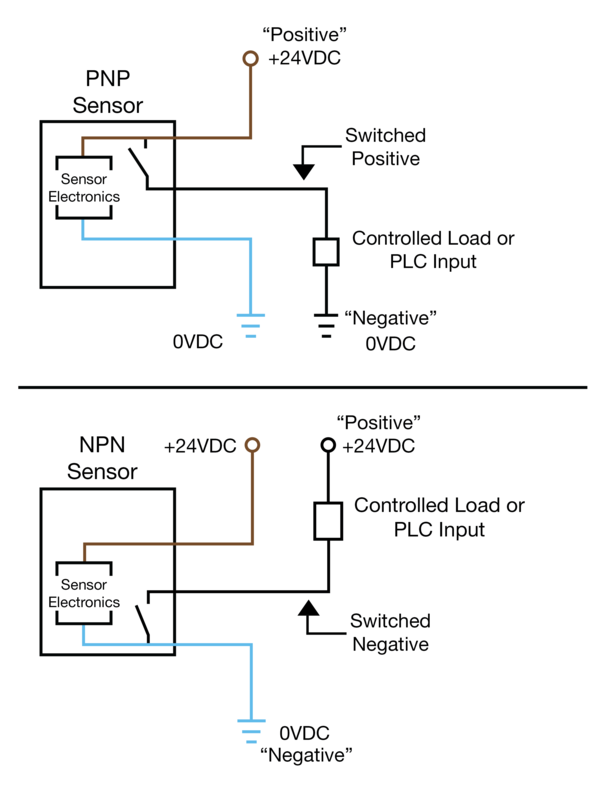 PNP = Switched Positive, NPN = Switched Negative. “Switched” refers to which side of the controlled load (relay, small indicator, PLC input) is being switched electrically. Either the load is connected to Negative and the Positive is switched (PNP), or the load is connected to Positive and the Negative is switched (NPN).